Are you a dog person? 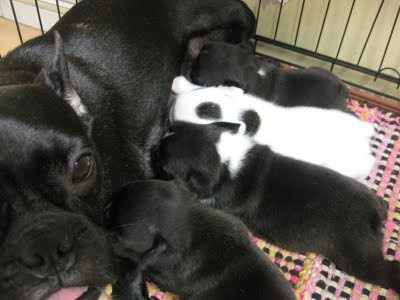 These 3-week old French bulldog puppies sure start early to learn other French stuff, eh? Lol! I think they're both female though. 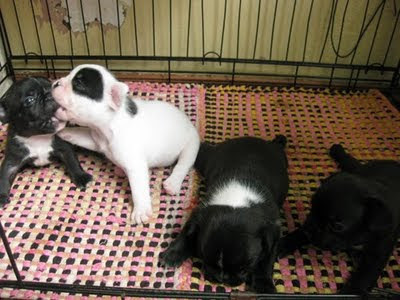 I was told these puppies' daddy bulldog is a champion bulldog. I don't know exactly what that means except that they probably have really good genes. They were quite an energetic bunch - always searching for their mother's teat and, when they find them - suckling away like there's no tomorrow. 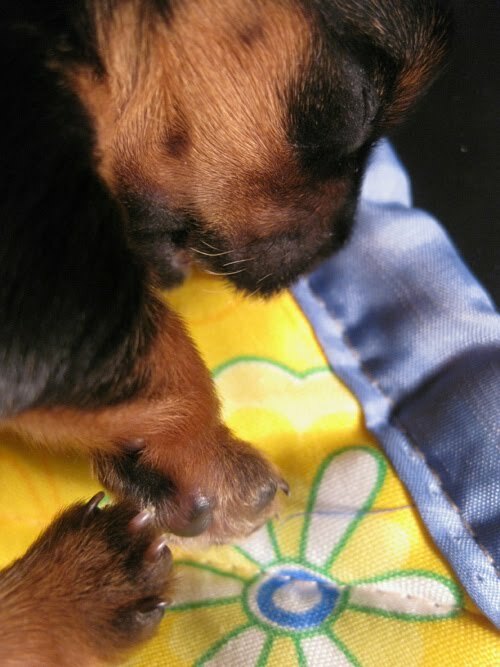 After their feeding, my Ate asked me to take some photos of her puppies. The puppy on the left was busy doing some Yoga stretching when it was his turn for the photo-op. We just had to let him finish his session before we could continue! Wanna hear something gross? Their mommy bulldog eats all their poop and slurps their pee. Gah! But I give props to mommy bulldog for taking good care of her puppies - she breastfeeds them regularly and cleans them up all the time! Aww, aren't mommies great? Here's their mommy feeding them - I guess she's really "pretty" by French bulldog standards. Haha. 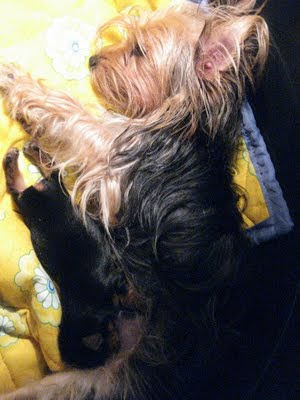 I've already mentioned the 2 Yorkies currently wreaking havoc in our house (lol) - well, now there's 3 of them. 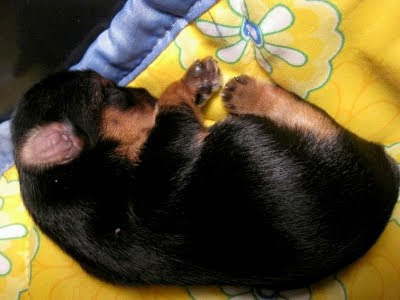 Only a few days old when I arrived - this little dog is a Yorkshire Terrier - yes, that hairy little critter starts out with short smooth baby hair just like any other doggy puppy. 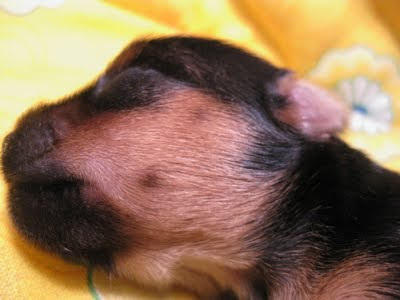 Are the Yorkie puppies for sale? 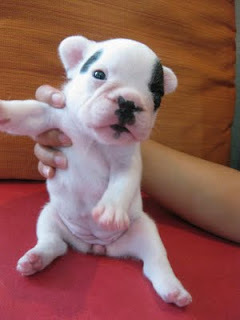 Are the French Bulldog puppies for sale? Send me an email at listahan[at]gmail[dot]com and I'll get you in touch with my sister for information, breed, lineage and all that relevant stuff for dog breeders.